ATLANTIC HIGLANDS, N.J. (November 4, 2010) 1st Ave. Pizza, an award-winning pizzeria featuring, pizza by-the slice, hot and cold subs, salads and much more, located at 75 First. 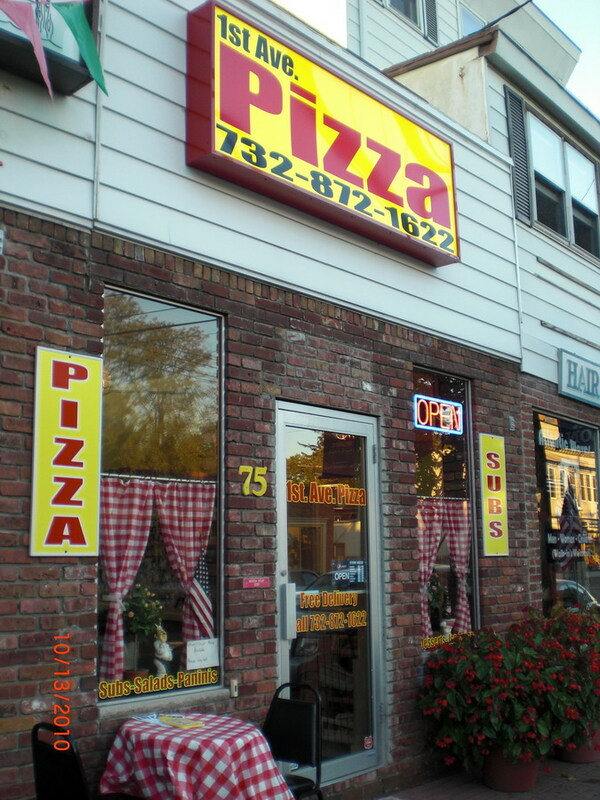 Avenue in Atlantic Highlands, N.J. today announced that it has been awarded Jersey’s Best Pizza by Jerseybites.com. Jerseybites.com’s first ever “Jersey’s Best” Pizza awards called on their 20k readers and over 1,700 Facebook fans to vote for their favorite Jersey Pizza. After the fierce competition, 1st Ave. Pizza was selected as having one of the top five best pizzas in the entire state of New Jersey. 1st Ave. Pizza was recognized for its many specialty gourmet pizzas along with their ability to customize the type of pizza the customer wants, either it being an extra-thin or thick crust round pie to a square crispy pie. Add mozzarella, homemade marinara sauce, garlic and fresh basil, and that’s their signature “Grandma” pie. To place an order visit 1st Ave. Pizza at 75 First Avenue, Atlantic Highlands, N.J. or call 732-872-1622. 1st. Ave. Pizza is open seven days-a-week delivering to the following areas: Atlantic Highlands, Highlands, Sea Bright, Sandy Hook, Leonardo, Belford, Port Monmouth, Rumson, Fair Haven, Navesink and parts of Middletown. This pizza is FABULOUS and the family totally incredible. Don’t miss out on this jewel.